Welcome to my online class “Yoga for a Healthy Spine”. This class is specifically designed to counteract some common postural misalignments brought about by our modern lifestyle. spend many hours a day at a desk or driving? want to relieve tension and stiffness in your shoulders, back and hips? love the feeling of moving your spine and gently stretching your body? find it hard to get to classes? need more guidance in your home practice? In this 75minute class, you will learn how to bring stability to areas of common weakness (lower back and scapulae) and mobilise areas that are tight (thoracic spine and hips). A fusion of my signature style of mindful vinyasa and Calligraphy yoga, this class will free your spine and bring awareness to your movements. (The minimum fitness requirement is that you can get down and up from the floor unaided. If you are practising with a medical condition or injury it is advisable to seek clearance from your medical practitioner before commencing any exercise program). Upon purchase, you will receive an email with a link to download the class (6.32Gb) and to view the class online. My first DVD “Awaken Your Core” is available now. Designed to bring more awareness and strength to your core, this DVD is just like attending one of my classes, but you don’t have to leave home! There are variations for beginners through to the more advanced yogi throughout the practice, so you can choose the variation that suits you and progress to the more advanced variations as your practice improves. 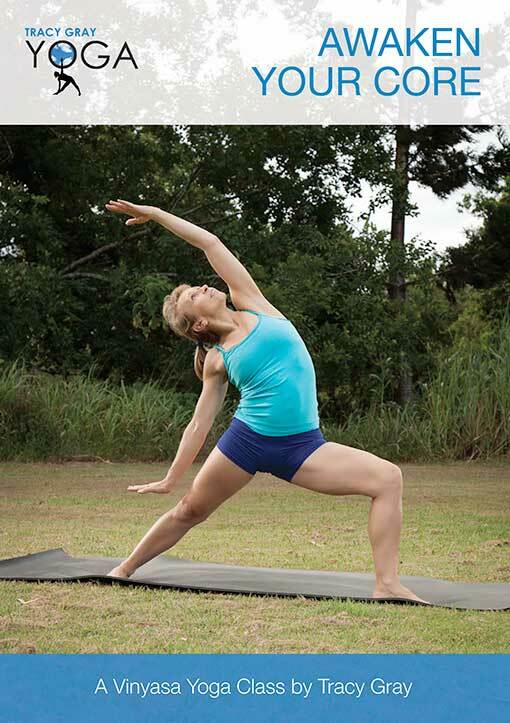 This flowing sequence will strengthen, calm and restore your body and mind. The DVD also includes my easy variation of Surya Namaskar B, which is an excellent practice to keep you strong and supple when you are short on time. $30 if you pick up from me at class or $35 if you require postage.